The Office of Diversity and Outreach (ODO) will celebrate its fifth anniversary with an event to honor ODO champions who were instrumental in the development of the office. The campus community is invited to this event from noon to 1 p.m. on Friday, Jan. 15 at the Millberry Union Conference Center on the UCSF Parnassus campus. Light refreshments will be served. - Sharon Youmans, PharmD, MPH, professor and vice dean of the UCSF School of Pharmacy. 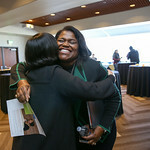 The University first declared diversity a top priority in June 2007, when it released its first-ever UCSF Strategic Plan, which included nurturing diversity throughout the campus community and improving the diversity of the senior leadership to more accurately reflect the state of California. Building on these recommendations and to guide their implementation, then Chancellor Susan Desmond-Hellmann, MD, MPH, established the diversity office and named Renee Navarro, MD, PharmD, the first vice chancellor of Diversity and Outreach in 2010. The work of the Office of Diversity and Outreach continues to advances diversity, equity and inclusion for the entire campus and the health system. More recently, Chancellor Sam Hawgood, MBBS, outlined his priority of equity and inclusion in his 2015 State of the University address. This work is currently focused on three larger overarching initiatives, which include Data Sharing, Education and Training and Recruitment and Retention of faculty, students/trainees and staff.